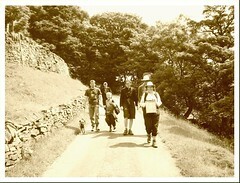 We had a lovely Weekend in the Peak District with family Sutton. Although there was the inevitable rain we also lucked out with some brief sunny spells for a walk and Barbecue. 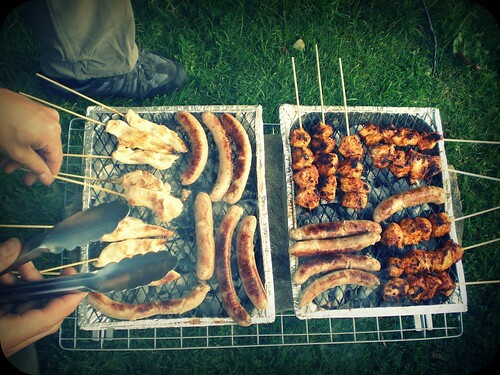 The barbecue goodies were all sourced from Uncle Jerry’s, otherwise known as Jerry Howarth’s Butchers in Belper and hastily prepared and marinated on a wobbly camping table then cooked on instant barby’s. We stayed at the Hayfield campsite where Ernie was constantly on patrol keeping an eye on the resident Ducks, Ducklings, Bunnies, Moorhens and Heron. All of which were so tame they were just feet from our tent. I think we have finally got to the point where we have managed to perfect our camping list as we pretty much had everything we needed this time.